Satin ivory ruffled linen available in any color desired. 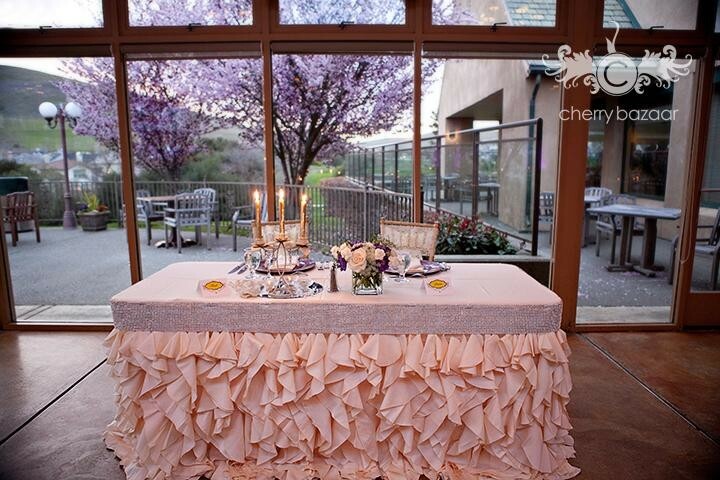 Diamond wrap can be adhered to any size table. Spanish eyes satin ivory ruffled linen with trim in diamond wrap.